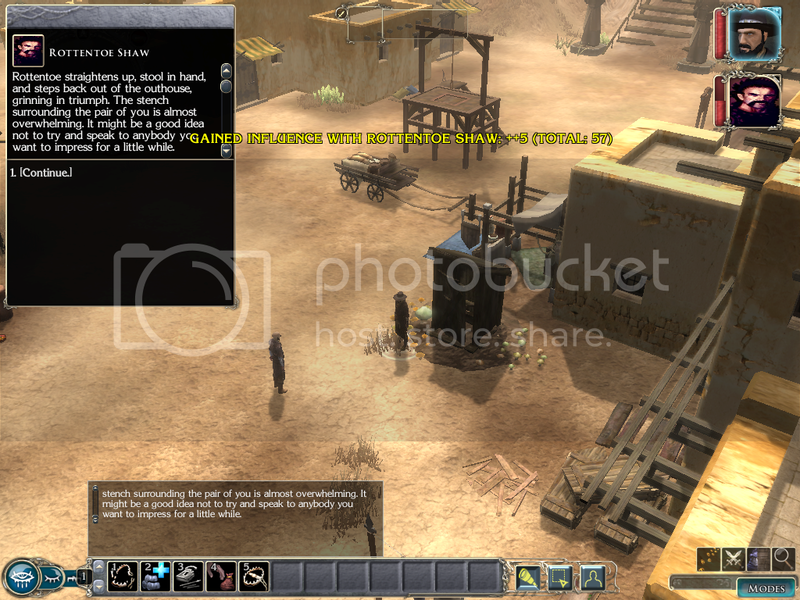 We are currently in the process of creating the world of Dark Sun using NWN (Neverwinter Nights (link is external)). We started this project with just two people Dizzitt Gardan and I (Tonden Ockay). We have been friends for over 25 years ever since high school. Dark Sun was the D&D campaign we played the most. I would have to say we played it anywhere from one to three times a week for three to four years solid. We both have all the AD&D 2nd Dark Sun books and have read and studied on the world for years. The problem is that our old group just can’t get together like we used to back in high school. So over the last few years Dizzitt and I have been learning how to make and use custom content with NWN. 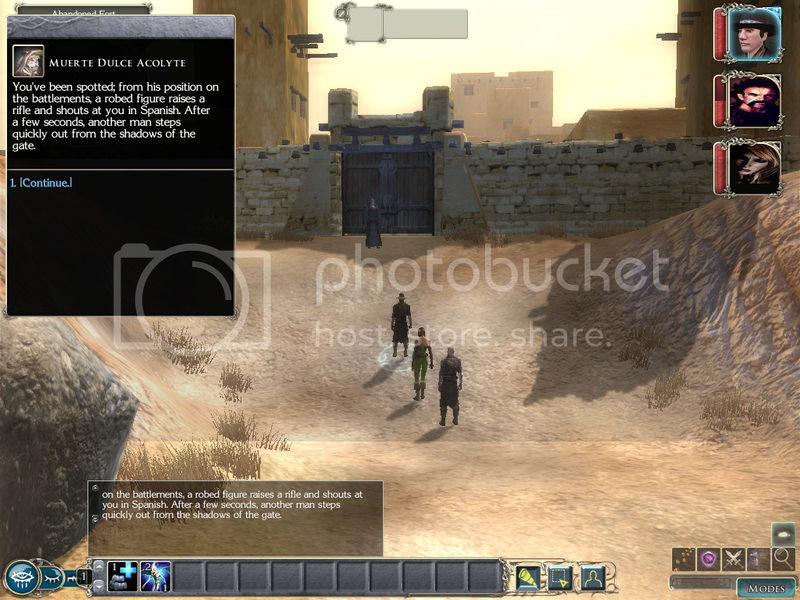 We are both at a point where we feel that we could bring the world of Dark Sun to life using NWN. 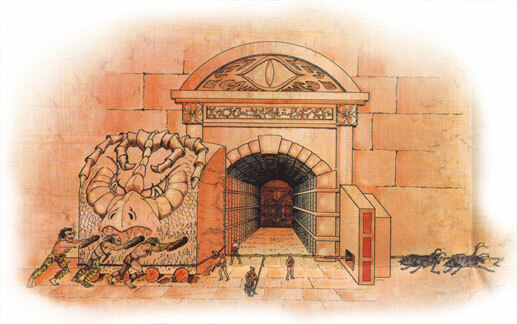 To start we searched through the Vault collecting all the different Dark Sun content out there. Then we looked it all over and only kept what we felt was of high enough quality. The Dark Sun CCC was one of the haks that we felt had what we were looking for. So we split it up into individual haks to make them easier to work with, pass back and forth, and download. So at this point and time we are working on adding to and improving on the above haks. Everyone sends an updated hak of the work they have done once a week. This helps to make sure we keep moving forward on the project as well as to insure we don't lose a lot of work if something was to happen. There are Six of us currently working on this project. That said we all have jobs, school, family, and other real life things that has to come first. There for, we only get to work on the project in our free time. Which is why we are always looking for people who would like to help bring this world to NWN. If you would like to help just contact me and we will see how you might be able to help with this project. Who is working on what. Weapons and Armor - Sunssarathi2029, Dizzitt Gardan, We could still use some more help in this area. We would like to create all the key points of interest in the Tyr Region and use them to make a PW. Then later at some point we would like to create modules and bring the flip book adventures to life. Thanks " Mecheon " that is very nice of you, we will check it out and we appreciate the help. TO, i´m not an expert, but i´d recommend to change the project´s name asap. Look, the company is extremly jealous about that name Dark Sun. You can call it however you want. Athas strikes again, Kalak returns, whatever, but not Dark Sun. In the worst case, the company shuts you down, if they find out. Now it´s up to you. Let´s not fight about that, Mecheon. I´m just saying it´s a licence thing and, in my opinion, an unnessessary risk. Take a look at the websites: athas.org athas.ru athas.br (congrats to the gold medal btw!) twinmooncircus.net siltskimmer.org athasreborn.com The name "Dark Sun" never shows up. Why? Alright, the boys must decide what is to do. Besides, do you join the team? I wouldn't think that they would care. Well, it´s your decision. Have you recieved my pm already? We could discuss some things. Damn! I always liked Brom´s art! I made a logo too some time ago. Upload it tomorrow. Nothing special. I also responded to your PM. No rest for my enemies, whom you will meet soon enough. And no rest for you, my friend, for death has delivered you into my service. Whoa! That looks splendid! You´re a talented man. I struggled for two days to paint a triangle! Despite the fact that the project takes its first clumsy steps, i have the intention that this will be a quit pro quo project. You help, the project helps you. Maybe you should stick around for a while. Just saying. Oh, and... nice models btw! Also could someone point me to some free dark sun stuff as inspiration? 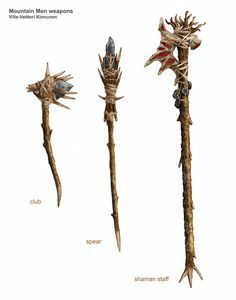 Edit: does other bone,wood,stone weapons count in Obsidian Twillinght Halfling use bone needle, broken hollowed out bone meant to carry poison or more commonly rotten stuff (diseases), secondly there are tooth swords like azec used. Well, the best idea is to talk to Tonen Ockay. I´m just a simple man and models are not my ressort. I can try to scratch some images together, that would take me some days or so, and upload them here. You can also PM me, and i send them to you. Like i mentioned before, the project is in a very early stage and we are still "assessing" the situation. Since you´re familiar with the setting, i know athas never lets you go, just like nwn, you should stick around for a while. I´d recommend a calm and relaxed approach. Watch an wait. Like a tiger. Jumping on such a huge project like a madman will only drain your battery and you get burnout. Trust me, i know. Well, it´s time for me then to collect some images. See you later, bro! 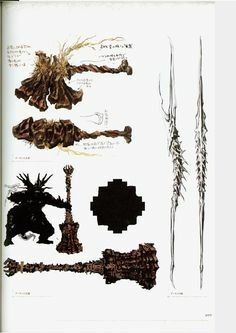 Edit: does other bone,wood,stone weapons count in Obsidian Twillinght Halfling use bone needle, broken hollowed out bone meant to carry poison or more commonly rotten stuff (diseases), secondly there are tooth swords like azec used. The design question is, if your ask me, crucial for a successful setting. Many questions aren´t answered yet. An example: Where do the halfings live: - in the rain forest? Sounds like aztec style. - in the savannah? sounds more like african bushmen - in the baobab-trees? that would be cannibal style from papua new guinea Give me some time, i´m on it to collect images from the books so that you can "see" for your- self how the world looks. In the first line weapons look savage and brutal, like yours, but i don´t have the words to describe baxa´s and brom´s work. Please be patient with me until i got the pics together. Very Nice work " Sunssarathi2029 "
Yes we would love to use your weapons. 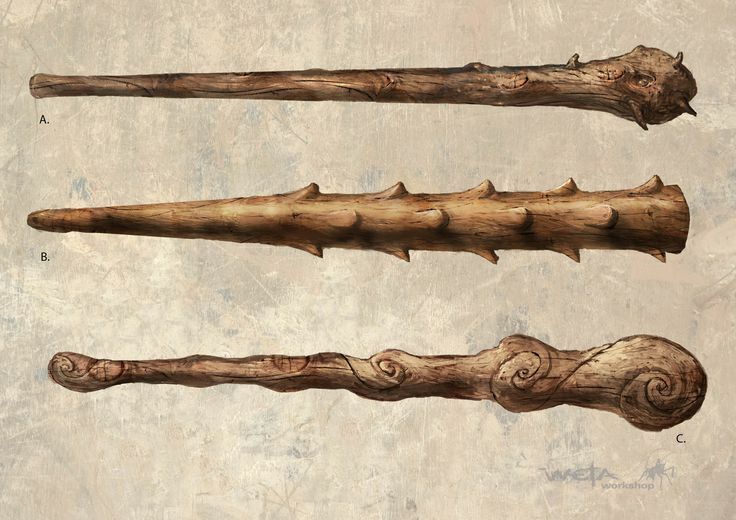 Yes I would love to have any and all stone, bone, and wood weapons that you would like to get/make for us. We would also love it if you would be willing to put together a Weapon hak and if you want an Armor Hak for this project. Your not only welcome to join the team we would love it if you would. Here is just a few pictures I could find really quick on the internet of some weapons. 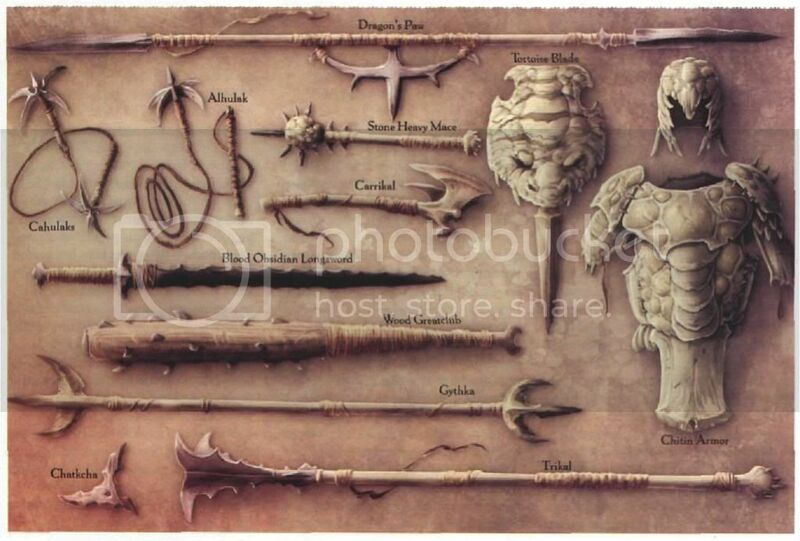 I would like to have all the known weapons for Dark Sun along with any other kind of stone, bone, or wood weapons that would blend well with the world/theme. Here you go " Sunssarathi2029 "
Here is a PDF with all kinds of Dark Sun weapons and more. The Dark Sun CCC they have done a lot of weapons already. 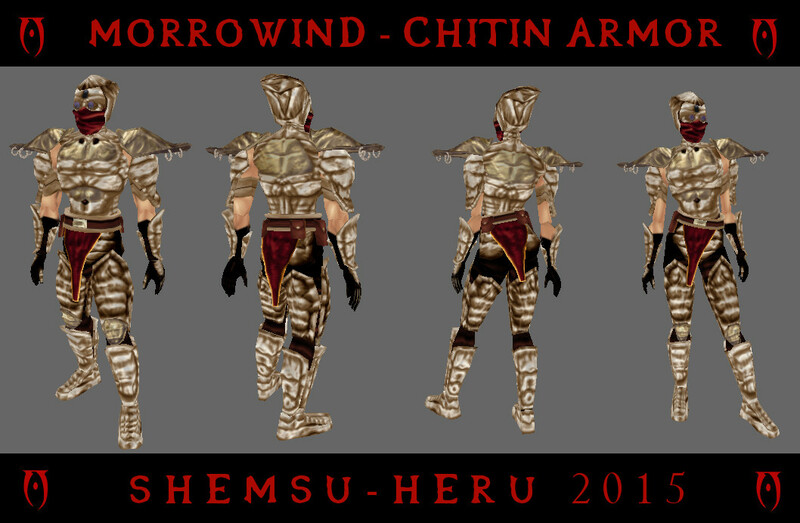 Here a Item hak that is a single item/weapon/armor hak that has the Dark Sun CCC in it. @TO Alas neither of those links work. Thanks for the heads up " Tarot Redhand "
The first link is working for me everytime. I'm just about done making the Tyr Ziggurat using GMax. I have never textured something in GMax before, so how do I go about texturing this Ziggurat? I will continue to add and improve the original post over time. Could use a few scripters. Ok I'm looking at using the TNO High Castle for the outer walls of Tyr. If I do I will need a Grand City gate, so I started work on one. What do you all think of it so far? What do you all think of it ? Maybe the "Lord-of-the-rings" movie helps you out. Youtube is your best bet, i´d say. You should also look for sandal and sword movies. Youtube is riddled with that stuff from the golden- and silver-age. Let´s see if can put up some links. Here you go: attila 1954 (english) https://www.youtube.com/watch?v=M8Nff0zLkfs cleopatra, incomplete (english) https://www.youtube.com/watch?v=umyyBo4rXGQ&list=PL0D283BCA4228F0B7 Karthago (german) https://www.youtube.com/watch?v=d2SwODFK7GU julius ceasar (german) https://www.youtube.com/watch?v=zim641_WlEQ https://www.youtube.com/watch?v=TIOl6V0JKWs Julius Caesar (german) https://www.youtube.com/watch?v=RCvzjr8QneI Revak the rebel (english) https://www.youtube.com/watch?v=MakO6We-gvs Sword of the Conqueror (english) https://www.youtube.com/watch?v=HFQNfqyzm_8 A gladiator´s story (english, doku) https://www.youtube.com/watch?v=OCe4bmzSg5E A snippet from the movie "Gladiator" https://www.youtube.com/watch?v=lTmlYKiLBHI Must say these roman armors look cool and tough! Is that a problem? Take a look at MGSkaggs desert superset. Huge walls and road are included. It might give you some ideas. I know it´s a very early stage, but watch the colors. Walls, buildings in a sandy color, or black, maybe? Like the temple texture from NWN´s desert tileset for example. Just saying. I will retexture whatever model I use. I will have everything like the way it should for a Dark Sun desert. I'm not talking about the color or textures. I just want to know how the model looks. I guess some people have a hard time looking at something and seeing what it can be and they just need to see the finished product. I know my wife is that kind of person. Relax, Tonden. The red arrow is misleading. The gate looks cool. Sorry Time, its just that I have spent the last few years learning how to do everything that I know how to so that I can do by best on whatever project I'm working on. I know other Dark Sun projects that have came and went for NWN didn't even look close in my opinion. But Dizzitt and my self love the world of Dark Sun and we want to get it as close as we can. I have been and will continue to poor hours and hours of my time into getting the right look. So you and everyone out there can feel safe knowing that I will do Dark Sun justice with this project or I will not release it. If it doesn't look and feel like Dark Sun then it will not see the light of day. If you have the links to those other tilesets I will check out the walls and gates. I did a little reskining just to give a little better look. I will still reskin it all if I was to use this. The above picture still isn't what I want the finish gate to look like but I was looking at the sale and if that human is 6ft fall then that wall is about 48ft tall. I think the walls of Tyr are taller then that but when it comes to NWN we can only go so high or you will never see the top and then it will just look like a wall that goes on and on as far as the eye can see and blocks out the whole sky in that direction while in the game. So somethings will most likely have to be scaled down some. It´s all good Tonden. You´re doing a good job! Go on, man! 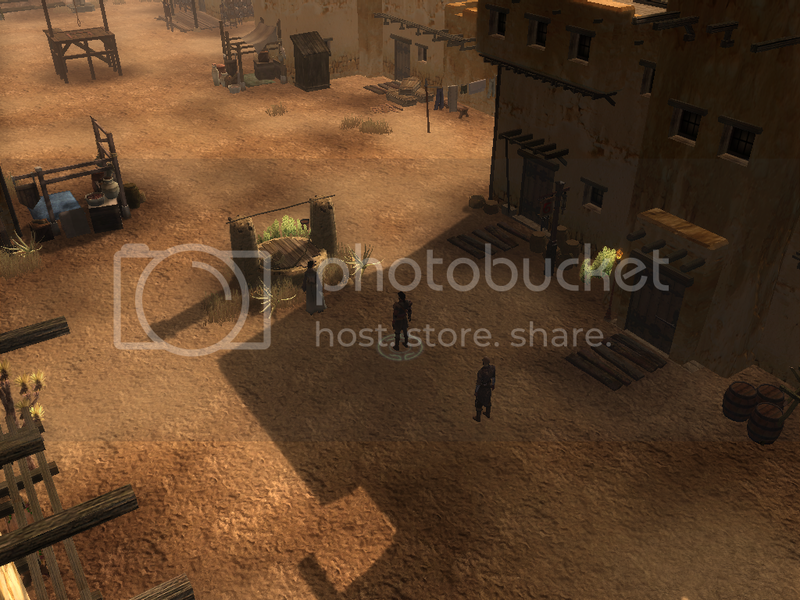 I´ll dig out MGSkagg´s desert tileset. But the walls I found in it were smaller and the city gates that I found didn't have a Dark Sun theme to them at all in my opinion. Mondego is working on somethings for me to look at by the end of next week maybe he will have something nice looking. 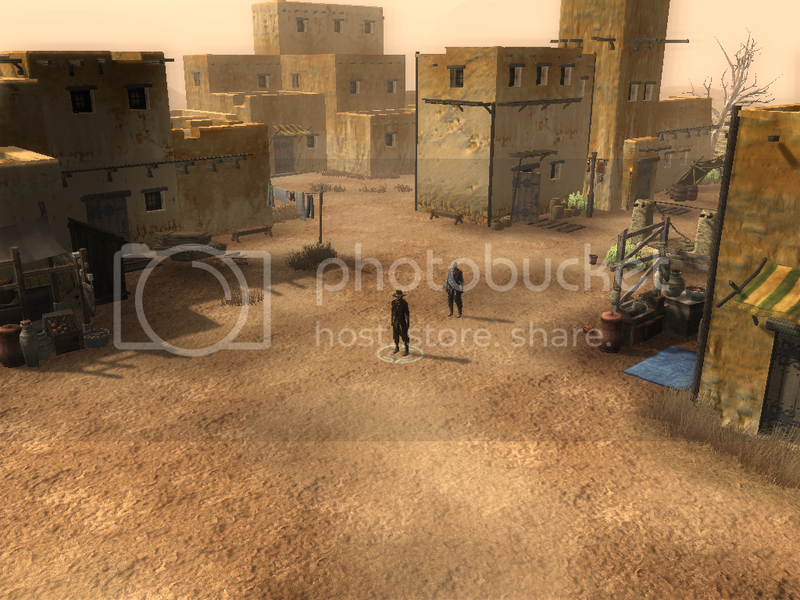 I found these desert city/town screenshots of a NWN2 module someone made. I really like the looks of some of the textures does anyone know where I could find these textures? If they would look right in NWN1 then I would really like to use the textures in those screenshots. I think they woudl work well for Dark Sun Houses. I´m on it to send Mondego a wagonload of *.DDS-files these days. You might take a look at them too, Tonden. I would love to look over some nice textures, I'm working on the City-State of Tyr tileset. Very nice work Shemsu-Heru if you would like to help with this project then we would love to have you. Currently there are six of us working on the project in some form or another. Just let me know what you enjoy working on and or would like to work on and we will get you set up. Thanks a lot for all the links and offering to help. Welcome to the team " Sunssarathi2029 "
I knew House Atreides would show up! Shemsu, I´m a big fan of your work! Well TEAM is't Friday so when you have time with in the next few days could you upload a copy of the current haks you are working on to my Drop Box. I just want to say thanks for all your time and hard work all of you are putting into this Project to help bring a High Quality, Living, Beathing, Dark Sun world to life using NWN. I would like to thank " Zwerkules " for making such a great Arabian Nights tileset. We will be using Zwerkules Arabian Nights houses for common housing in our City-State of Tyr's tileset. We still need rich, poor, and ruins houses for this tileset. 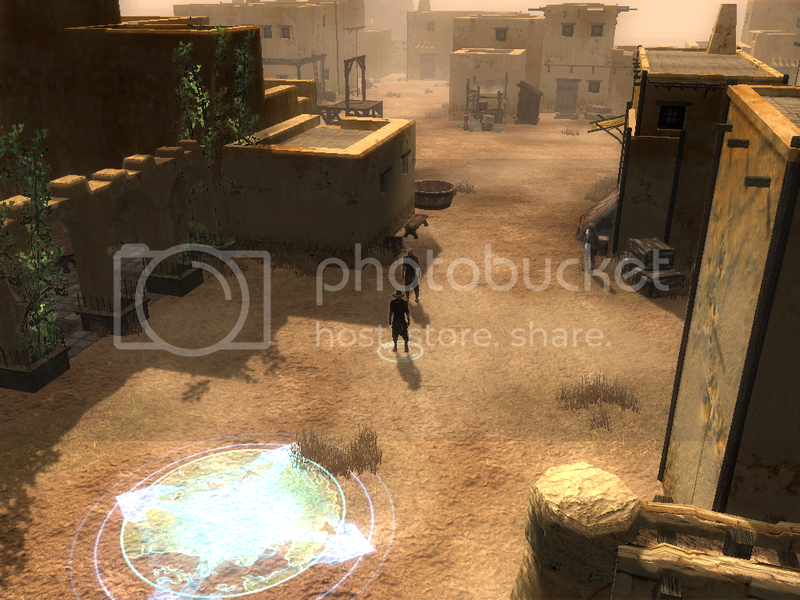 I will be uploading a new screenshot to our website once a week. The picture above is Zwerkules textures. However I can't use all his textures and get the look that I want. There for, to get things to look the way I want I'm having to make some of my own textures, which is taking a while to do. You have to get the look you want. The right texture, the right color, and it has to blend well with the rest of the tileset. I don't mind doing it but it just takes me hours to do because I'm so picky. That said nothing seems to be fast when it comes to custom content. Ok I have 16 creatures laid out in the center of a 12x12 area and when entering in the area from the edge of the are you can't see the creatures. However once you get closer then they fade in so you can see them. The problem is that when this happens the game lags up each time you get close enough to uncover the creature. I know that this isn't my PC. So is there a way to set the are so everything is uncovered/ faded in so when you enter the area? I would just like it so that when someone enters an area it loads everything in the area so that nothing needs to be uncovered and loaded then. Is there a way to change a setting or something to make this work the way I would like it to? The buildings look like they are from Baron's Adobe Pack. 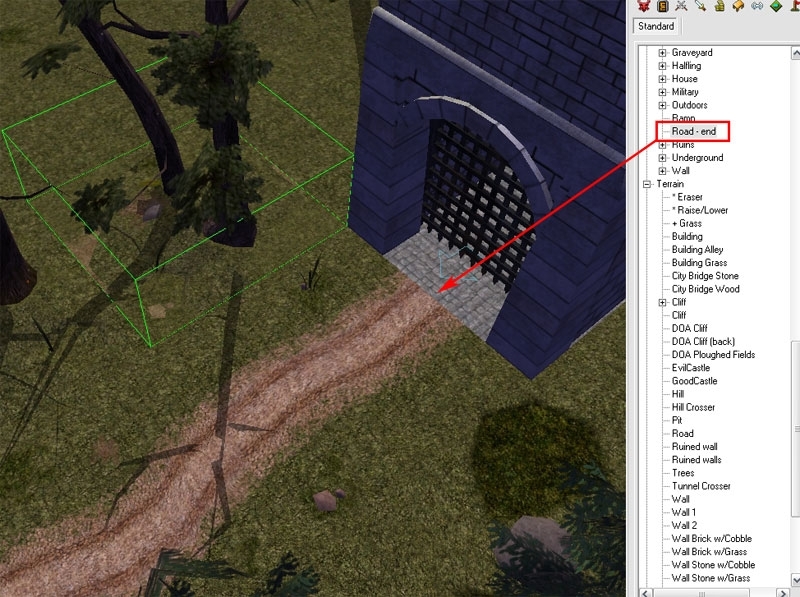 The textures will likely be in NWN2 DDS format, so you'll need to convert them. To all members of the team: I´ll upload this sunday, that´s the 16. october 2016, a big chunk of my work. Grab it! I compiled all the models and tested them out. It seems there is a little lag when they fade in. This was tested with 16 creatures spawning at once in front of me. I can send the files your way so you can test them out. Sounds good I can't wait to check them out.